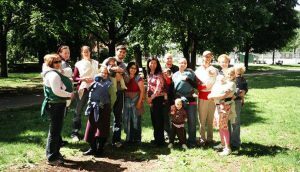 Emporte-moi (previously Mamasupial Montréal) is a community organization which exists since 2007 for the promotion and the education of safe babywearing for families and health professionals. We are comprised of certified babywearing educators in the greater metropolitan area of Montréal, Québec, Canada. We offer monthly introductory babywearing workshops, where all the types of baby carriers are demonstrated and where you can try them with your baby. We can help you choose the carrier that will correspond to your family’s lifestyle. We also offer ‘teach the teacher’ workshops for community workers and healthcare workers. We also offer workshops for other community organizations who would like to help the families they serve learn about safe and proper babywearing. 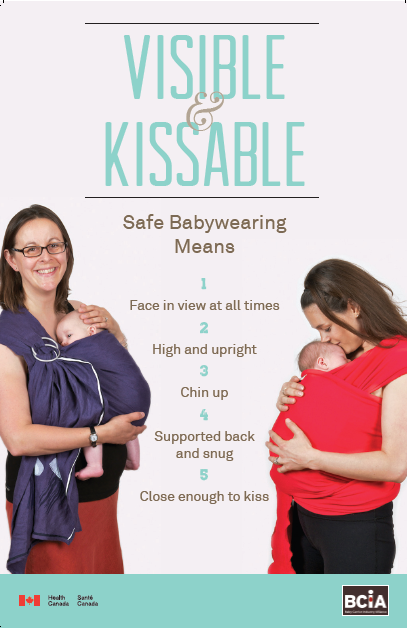 Safe babywearing is based on the ‘Visible and Kissable’ rule. Baby’s face and airways should always be free and visible, especially the chin which should be always be at least 2 fingerbreadths from the chest. Baby’s head should be nice and high on the wearer’s chest, at kissable height. It is also important to check carriers periodically for weaknesses or defects that may appear after prolonged use. Remember that ultimately, you are responsible for your baby’s safety. 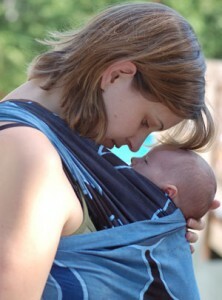 Please do not hesitate to ask us for help on any babywearing questions you may have.